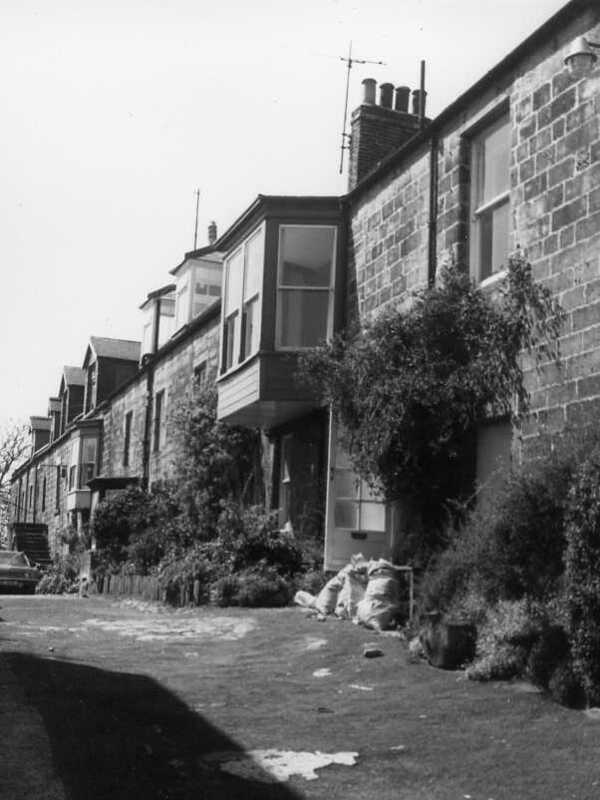 Nos 6, 7 and 8 Prospect Place, Alnmouth. Photo Northumberland County Council, 1973. 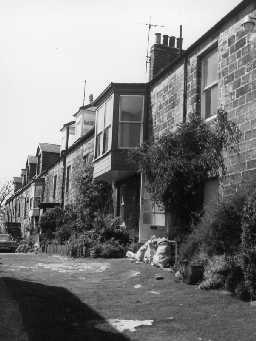 This terrace of houses in Prospect Place, and the attached building 52 Northumberland Street, were originally a granary. These were used for storing grain, which was the main cargo for Alnmouth in the 18th century. It was converted into houses in the 19th century. This is a Grade II Listed Building protected by law.